Small moves, big moves; there’s no type of move that SUPER MAN with a VAN can’t handle. We’ve been in the business for quite a while and are very familiar with all aspects of relocation. 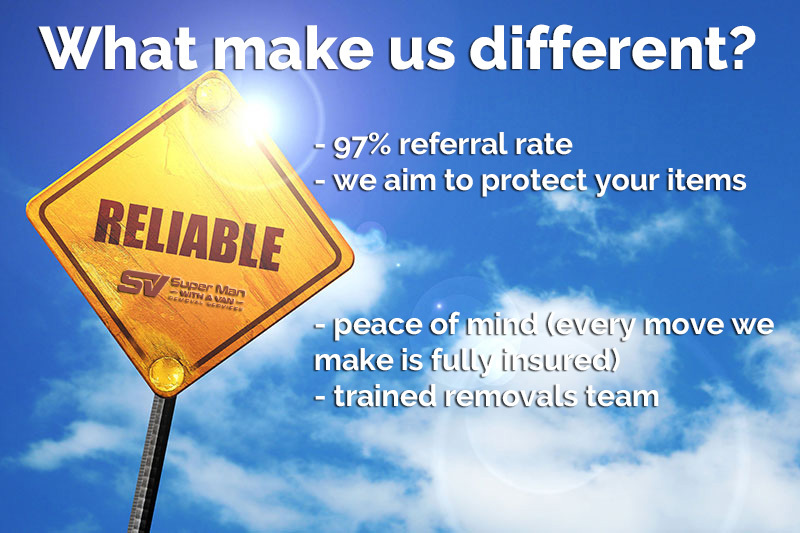 Here within our Super Family, we focus on one key aspect: Quality and Professionalism. We understand that time is precious, and that is why we always keep our commitments and arrive on time. For quick deliveries, we offer same day service and always communicate within the hour. 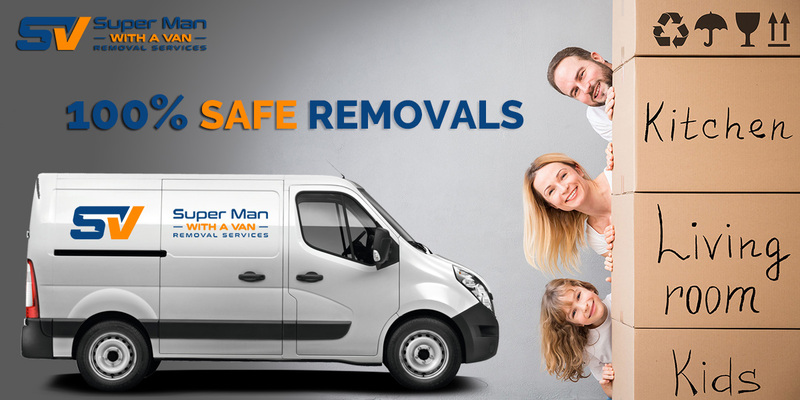 We at Super Man with a Van have spent years formulating detailed plans that are tailor-made for every type of situation, and we offer a range of services which compliment as such. Knowing how important your time is for you, we also provide overnight services in case you need to balance out your week. Being a leader in the removal industry, we understand that there are special items which need care and special packaging in order to be transported safely and efficiently. 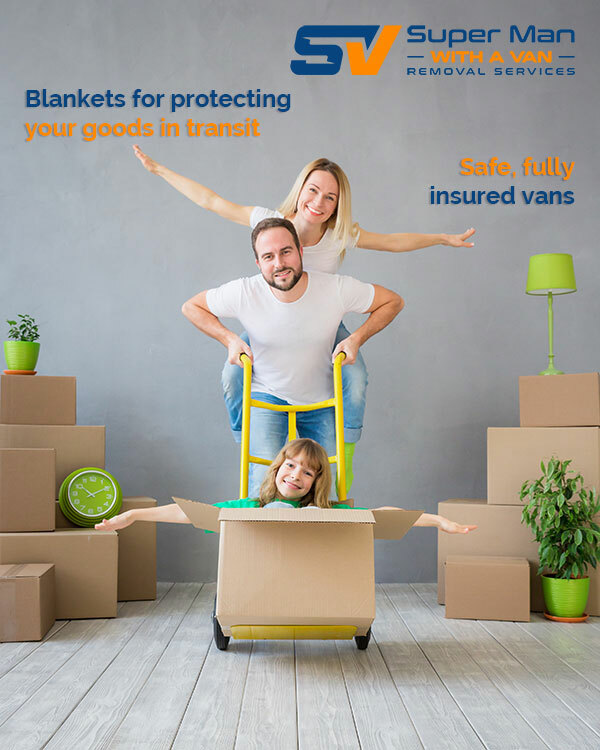 SUPER MAN with a VAN has all of the best equipment and tools needed to ensure that your precious belongings are packed and delivered in the same condition . Our large convoy of vehicles comes in every size available, so for large house or office moves we can safely and securely stow everything away without having to make multiple trips. 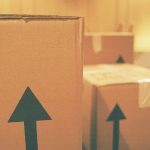 If you need advice on how to package goods in the most cost-effective manner, we also offer free advice on packing materials, pre-move essentials, and time-saving strategies. Here at SUPER MAN with a VAN, having a sound plan is made complete by assigning you a personal move manager. Not just a random person, but somebody who will be in charge of your move and responsible for communicating 24/7 to ensure complete coverage of any extra details. We make sure that you have all the support and assistance that you need during your big move. Have you received a quotation from any other removal companies? Give us a call and we’ll attempt to match the price of any other local man and van services in London. Space can be an issue in between the dates of you moving out and the date you are moving in, SUPER MAN with a VAN has the perfect solution – available storage space for long term or short term. 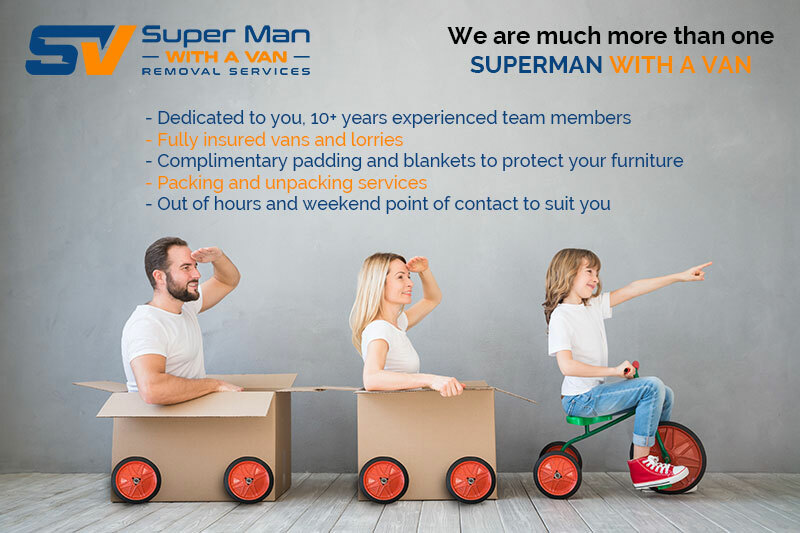 Book an appointment with Super Man with a Van today for your big move – join the Super Family and get ready for the experience of a lifetime!